A few weeks ago we had come across a very informative documentary on the legendary cinematographer Mr.VK Murthy. We would like to share this documentary to honour this great artist who passed away today. Indian Cinema would forever be grateful for his his path breaking contributions. This post would not be complete if we do not share the haunting song from Kagaz ke phool. Teaming up with Guru Dutt, this film is probably one of his all time best works.His use of light and shadow is totally spellbinding. On February 13th 2014 we lost a man who has changed the language of Indian Cinema. Born Balanathan Benjamin Mahendran, Balu Mahendra started out as a cinematographer after graduating from the Film and Television Institute of India, Pune. He created a visual revolution with his unique style of cinematography. As a director, Balu Mahendra created a new wave in South Indian cinema by making films close to reality and handling them with sensitiveness that no other filmmakers could at that time. Handling the camera for every film that he directed added an element of poetry in every frame. Kokila – Balu Mahendra debuts as a director. See a trailer of this path breaking film. 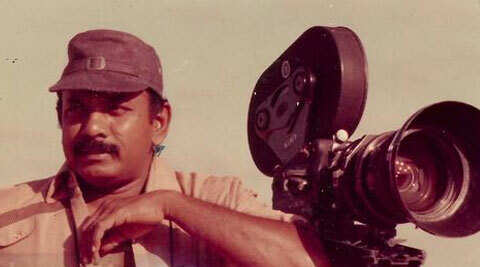 Mullum Malarum – Balu Mahendra handle’s the camera for yet another great film maker, Mahendran. Here is a very popular song from this film. Pallavi Anu Pallavi – This Kannada film was Maniratnam’s debut. Balu Mahendra’s cinematography played a vital role in this film. Sadma – Balu Mahendra’s first Hindi film which was the remake of his own super hit Tamil film Moondram Pirai. See the heart wrenching climax of this film which is still talked about even today. Thalaimuraigal – Released on December 20 2013, this was the last film directed by the stalwart. It was, at the same time, the first film that he completely shot in digital and also the first time he faced the camera by playing one of the lead characters. By playing the grandfather in the film it could have also probably been the first time that the world would have seen him without his trademark cap. Here is a trailer from of the film. 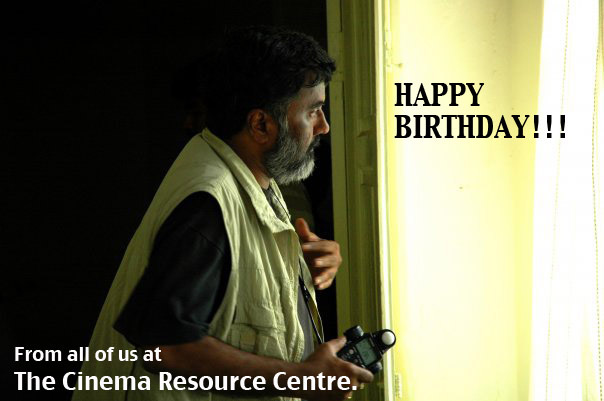 The Cinema Resource Centre would like to wish one of India’s finest cinematographers, Mr. P.C.Sreeram a very Happy Birthday. Here are some of songs that he has picturised over the years.